Are you interested in studying for a Top-up Degree in Business Management (Tourism)? From 2017, you can study a Business Mangement (Tourism) Bachelor’s Top-up Degree at UKCBC’s central London campus in Holborn. 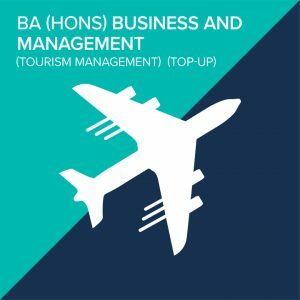 Graduates of either an HND or Foundation Degree in Travel and Tourism Management can achieve a Business Management (Tourism) Top-up Degree with just one more year of study. Bath Spa University is a well-respected higher education institution based in the south-west of England. It has a reputation for its creative curriculum and high student satisfaction. Thanks to a new partnership between UKCBC and Bath Spa University, you can now study a Business Management (Tourism Management) Top-up Degree in London from UKCBC’s Holborn campus. Why Opt for a UKCBC Business Management (Tourism) Top-up Degree in London? The practical focus of the HND course provides students with a strong foundation of knowledge of the tourism sector. UKCBC’s one-year Top-up Degree in Business Management (Tourism) extends this foundation, enabling the application of skills in the private or public sector, charity or voluntary organisation or your own tourism business. During the Business Management (Tourism) Degree Top-up course, you will explore potential business ventures, develop your critical thinking skills and focus on the role of management while undertaking an in-depth business research project in your specialist area. During the Business Management (Tourism) Bachelor’s Degree course, you’ll be assessed in a wide range of ways that will test your business knowledge and management skills; this could include presentations, work related projects, group-work, computer-based simulations, examinations, essays, and business reports. The Top-up Degree in Business Management (Tourism) will build on many of the skills and theories students will have learnt during their HND. It will also support the development of applying these theories to real-world events, leading to credible solutions and recommendations. UKCBC and Bath Spa University highlight the importance placed on thinking independently and confidently when students face the academic challenges of the Business Management (Tourism) top-up degree course. Through an individual tourism research project, students will have the opportunity to examine broader topics within the sector; this will allow students to keep their options open to a wide variety of graduate roles and explore cross-sector themes, such as global affairs and sustainability.